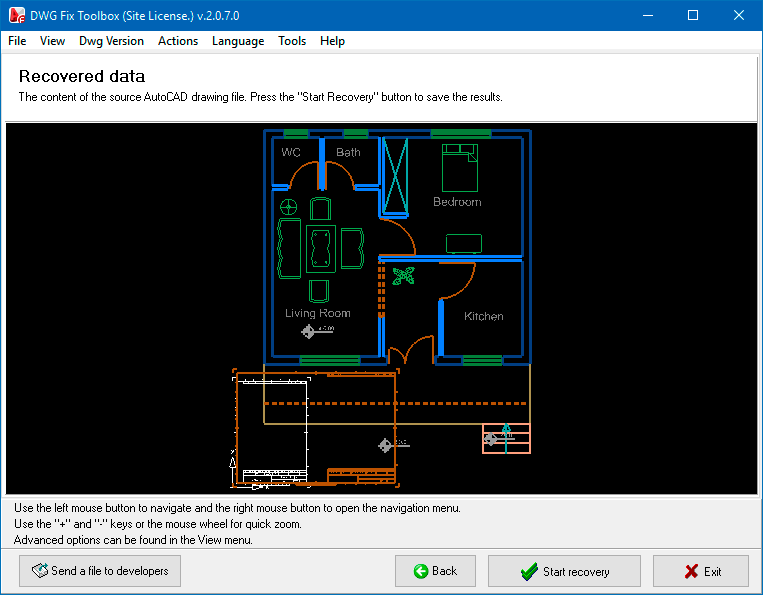 DWG Fix Toolbox is a tool designed to recover projects created with AutoCAD. Thanks to the program's complex and efficient procedure, the likelihood of recovering lost data from damaged *.dwg files is very high. 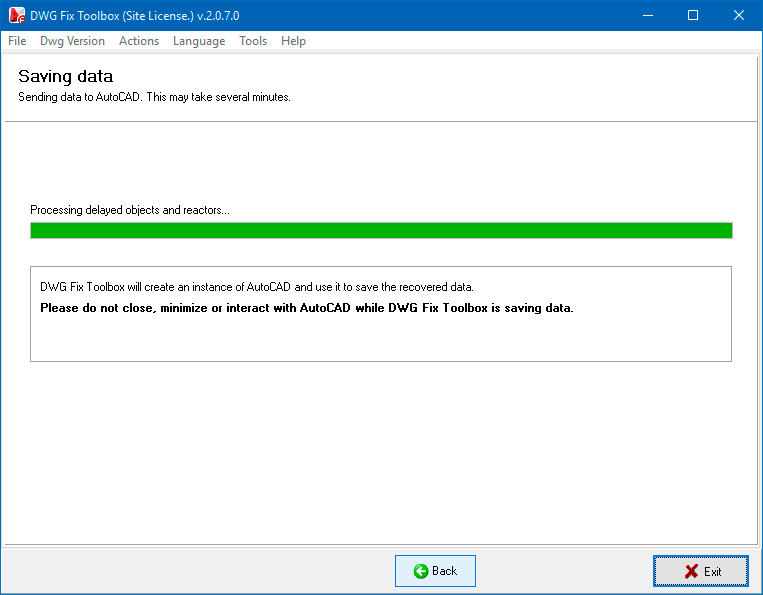 Tool can fix DWG files created with AutoCAD 2000 and later. Works with early versions, beginning with AutoCAD 2000. Automatically determines the version of a damaged *.dwg file. Works with 2D and 3D images. Manually select *.dwg file version, which significantly speeds up the program's operation. Preliminary view option for recovered information, with scaling and relocation function. Additional settings for precise and rapid recovery. DWG Fix Toolbox requires no specialist knowledge or experience. All you need to do is to follow the on-screen instructions. 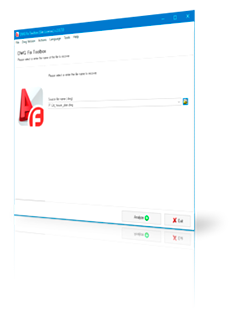 While the AutoCAD Fix tool is working, it exports the information it has recovered directly into a new AutoCAD project. Note: The program is not licensed under GNU General Public License (GPL) or GNU Lesser General Public License (LGPL). 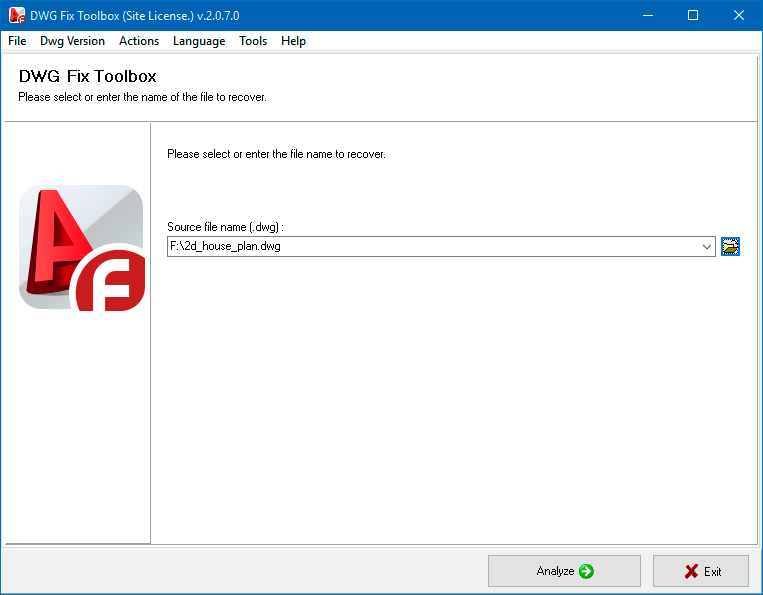 DWG Fix Toolbox is not open source software or a freeware tool. DWG Fix Toolbox is distributed on the try-before-you-buy basis with a free DEMO version. Requirements: AutoCAD must be installed on your computer to export recovered data into a new file and fix AutoCAD projects. Note: The program recovers data from *.dwg files created with AutoCAD 2000 and later: data from earlier versions cannot be recovered. Selection of a damaged DWG file. Overview of the recovered data. Export of the recovered DWG data.